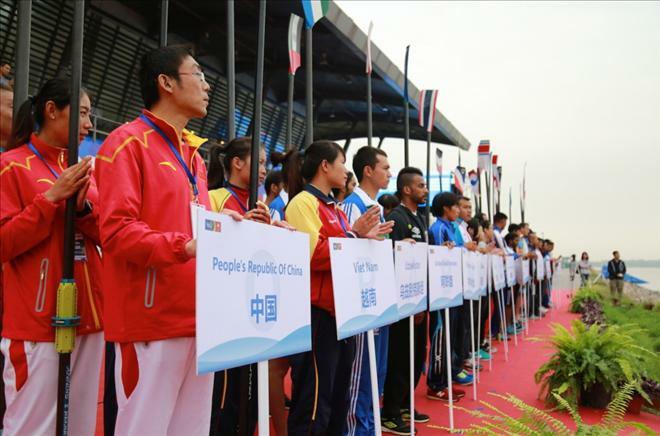 HA NOI (VNS) — Viet Nam finished seventh at the Asian Rowing Championships, which closed in China on September 28. The Vietnamese rowers pocketed one silver in the women's lightweight quadruple sculls event. The prize went to Southeast Asian champions Cao Thi Hao, Ta Thanh Huyen, Pham Thi Thao and Le Thi An. The team finished their race with a time of 6min 43.48sec. The gold went to host China, while the bronze belonged to Thailand. Earlier, Pham Thi Hue finished fifth in the women's singles sculls. The Vietnamese team of Ho Thi Ly, Le Thi An, Pham Hue and Tran Thi An came fourth in the women's quadruple sculls. Ta Thanh Huyen and Pham Thi Thao placed fifth in the women's lightweight double sculls.